All gravity irrigation systems share some major drawbacks  the fields to be irrigated have to be level or slightly sloped for the water to flow down the laterals and rows, and the ground can't be too sandy or else the water will seep down before it reaches the end of the row. Also, gravity irrigation systems are notoriously inefficient.  They loose water to the air through evaporation and loose water to the ground through seepage. In 1947, a farmer who grew up in Columbus, Nebraska, was watching an irrigation demonstration on a neighbor's farm in Strasburg, Colorado. Frank Zybach watched as workers moved pipes that had been fitted with sprinkler heads on posts from one section of the field to another. Zybach realized that the sprinklers could deliver water efficiently to hilly terrain and that it didn't matter what kind of soil the water fell on. But turning on the sprinklers, turning them off, slogging through mud to move the pipes and starting over was a lot of work. 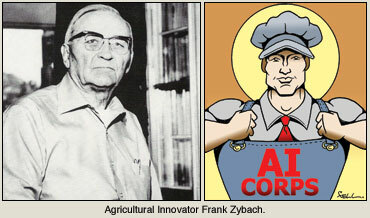 Frank Zybach's father had been a blacksmith in Columbus, and Frank had grown up tinkering and inventing.  He applied for his first patent in 1920 at the age of 26. The invention was an automatic tractor guide for steel-wheeled tractors. He sold the invention, but it never caught on. By 1947, he was a reluctant farmer and still tinkering. He decided he could invent a better irrigation system. 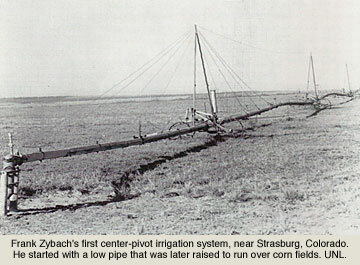 Within a year of seeing the demonstration, Zybach had built the first "center pivot irrigation system." The system pivoted around the wellhead that supplied the water. Evenly spaced towers rode (in that first system) on skids, and guy wires extended down from the towers to support two sections of pipe that had sprinklers attached. Very soon, Zybach replaced the skids with wheels. The whole system was powered by the water pressure running through it  some of that water was diverted off to drive the wheels  and the towers were kept in line by a system of control wires and two way water valves. If one tower got ahead of another, the wires would sense it and slow that tower down. Frank Zybach applied for a patent on his "Zybach Self-Propelled Sprinkling Apparatus" in July 1949. He didn't know it at the time, but in the decades that followed, his apparatus would become the center pivot irrigation system. It revolutionized farming in the U.S. and was exported to agricultural operations around the world. We have that story and much more about center pivots in later the "Farming in the 50s-60s" section of this Web site. We also have a video segment on how a modern center pivot system is built here.